The 2016 Privacy Risk Summit will bring together leading privacy practitioners, lawyers, regulators, and academics to address top privacy risks in the year ahead and share strategies for success. The Summit builds on the success of the EU Data Protection Conference and IoT Privacy Summits to bring you an expanded program with three parallel conference tracks focusing on risks rising from technological and regulatory change and privacy risk management best practices. TRUSTe is hosting this event. We invite you to join us in San Francisco this summer for a packed day of inspiring keynotes, dynamic panel presentations and interactive workshops. Legaltech is the largest and most important gathering of legal technology professionals anywhere in the world. Attendees include decision-makers from all firm sizes who attend Legaltech to hear directly from the experts, see the latest and most innovative products & services. TRUSTe is exhibiting and speaking this event. Stop by booth #406 to see the latest privacy compliance tools or join us at our Emerging Technology session, “Counsel’s Toolbox: Innovation in Managing Digital Privacy Risk” on Tuesday the 14th at 1:30pm. We’ll be joined by Privacy Counsel at Autodesk, White & Case, NetSuite, and Symantec. The AIIM Forum UK is a free independent event brought to you by AIIM International, to deliver thought leadership, market insights and expert advice through a one-day program of educational seminars and a major showcase of the latest information management innovations. TRUSTe’s Ralph O’Brien will be speaking on Wednesday, June 22, 4.05 – 5.00pm on the panel discussion, “Europe, Privacy & the New General Data Protection Regulations”. Key discussion points will be the legal requirements and timescales of the GDPR, plus further exploration of provisions such as the ‘Right to be Forgotten’, the ‘Right to object to Automated Processing’ and ‘Privacy by Design’, data portability vs data sharing, information governance, risk management and other commercial impacts that will affect all organizations operating in Europe. 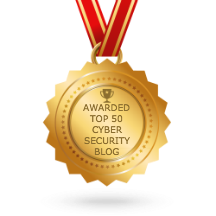 The TrustArc blog has been awarded “Top 50 Cyber Security Award” by Feedspot.